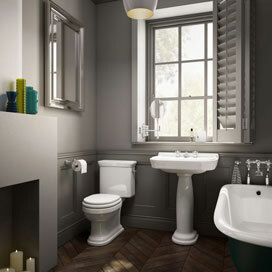 Your ‘perfect bathroom’ begins with our expertise and knowledge. Whether you’re hoping to create a minimalistic, modern space, or are aiming for a rustic bathroom retreat, our experts will transform visions, ideas and aspirations, into reality. 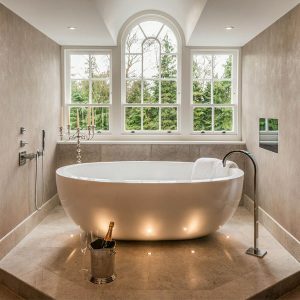 Each and every product we fit in our clients’ bathrooms are of the same outstanding quality; and are sourced from leading London-based luxury supplier CP Hart. CP Hart are well-regarded in the industry for products that are stylish, luxurious and crafted to last. Our team will help you create your bespoke bathroom suite, with product options that include: basins, baths, bidets, furniture, heated towel rails, mirrors, showers, taps, tiles and toilets. CP Hart has and continues to meticulously source the highest quality of sanitary products and wares – for stylish solutions that fit seamlessly with your own design preferences and budget. Available brands include: Lefroy Brooks, St. James, Vado, Matki, Roca, Duravit, Grohe, Eastbrook, Hansgrohe, Geberit, Vola and Vogue. Each brand stands for quality – and every product amongst their ranges will stand the test of time, beautifully, for stunning form and robust function year after year. Our strength lies in our versatility – from luxurious contemporary wet rooms to charming traditional bathroom suites, we flex and fit to suit even the most specific of briefs. We happily offer to undertake customizations – such as the addition of cabinets and other furniture, and always deliver skilful work, for incredible outcomes. Our team of technicians are comprehensively trained and qualified to handle even the most imposing and complex of bathroom installations with years of industry experience. Your professional team of installers can adeptly fit your shower, bath, toilet and sink, as well as luxurious add-ons, such as advanced accessories and underfloor heating. Our Gloucester Based Head Office Is Ready For Your Call.